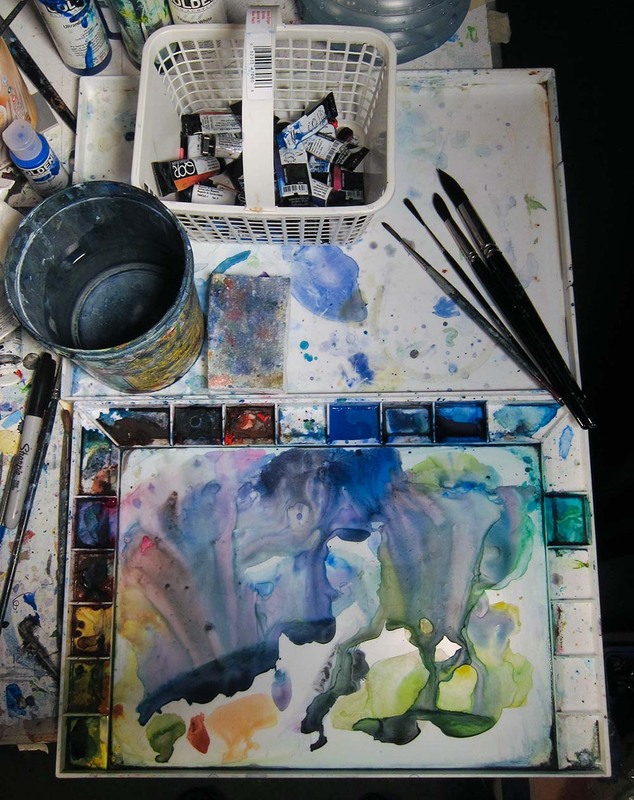 I have been using the John Pike Watercolor Palette now for almost a year and it has become my favorite palette for studio paintings. 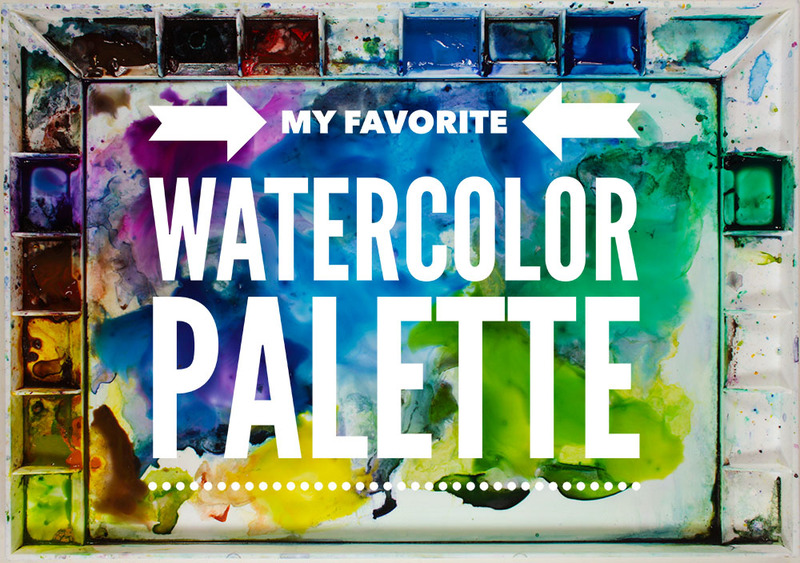 I prefer a palette that has wells for each color because it prevents them from mingling while I’m working, especially when it’s resting on an uneven surface. 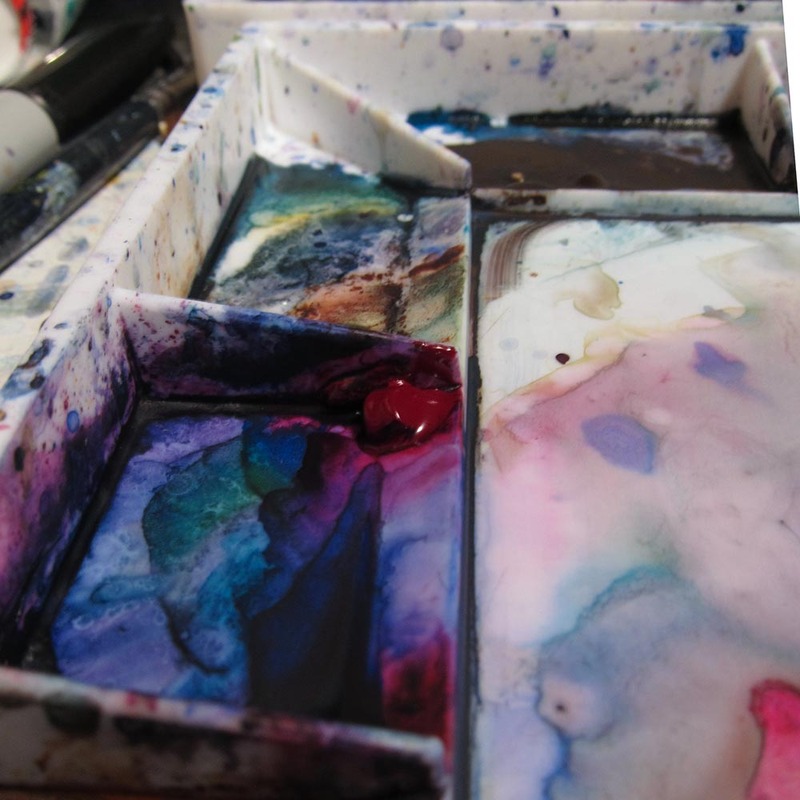 This palette also has more mixing space than any other palette that I know of. It measures 15” x 10.5” and it’s a little over .5” deep. There 20 wells and each one is 1.5” square, although the ones in the corner are slightly larger. The lid is a nice feature, not only does in keep the dust off the paint when it’s not being used, but it can also be used as another mixing area. The extra mixing area means that I don’t have to stop in the middle of a painting to clean out an area to make room for new color mixes. Alternatively, the cover could be used to protect your desk from the wet brushes, sponges, water bucket, and tubes of paint. your desk from paint and water. The mixing area is easy to clean because the thick paint is contained by the wells. If I want to clean it I just spray it with water and then wipe it off with a paper towel. I don’t squeeze out paint into this area because it makes it difficult to clean without smearing bits of pure pigment around. The John Pike Palette is thicker than the cheap watercolor palettes that you would find in a hobby store, and I suspect it will last a long time. The hinges are the weak point of many palettes because they can crack and break off. The Pike Palette doesn’t have hinges; the cover fits snugly to the palette. The palette is made from mold injected styrene plastic and it’s resistant to staining, although the manufacturer states that some of the more powerful staining colors such as Phthalo Blue can stain it over time. 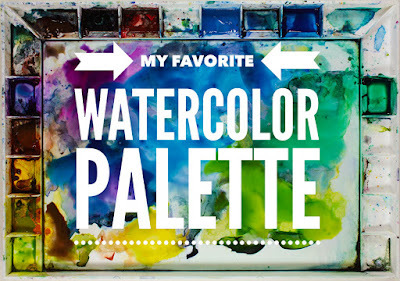 I use these colors and my palette still cleans up to a pure white. If you do manage to stain your palette, the instructions say they can be removed with kitchen cleaning products. They don’t mention the brand names but some artists recommend Ajax, glass cooktop cleaners, and other products. I never tried any of these products so I recommend that you test them out in an inconspicuous area to see if it scratches the plastic. Scratches are difficult to see on white plastic so brush some watercolor over the treated area to make them visible before you decide to scrub the entire palette. New watercolor palettes often repel water. This can be annoying because it’s hard to judge the color of a wash when it instantly beads up into little droplets when you’re done mixing it. The beading will diminish on it’s own. I’ve noticed that if I allow the washes of paint to dry on the palette and then clean it off by misting it with water and wiping it off, it seems to reduce the beading. I’ve been using QOR watercolors and the colors that I use are listed below. I recently added Burnt Umber. The first time I squeezed paint into the palette, as seen in the animation above, I placed it in the center of the wells. I eventually realized that if I were to squeeze it against the sides or back of the well it would encourage the dirty water from my brush to drain away from the paint. even though the well is contaminated with other colors. The angled lip in the front of the well is good for wiping off the excess paint from the tube after I squeeze out fresh paint; metal tubes of paint have a tendency to ooze paint after you stop squeezing them. Putting the cap on without wiping it off is what causes them to become difficult to remove, the paint gets into the threads and works like glue. 02-21-18 UPDATE: The Pike Palette has served me well for years now and it's my favorite palette for studio use. This is my favorite palette too! I have had mine for about 40 years. Now I haul it back and forth to teach an adult watercolor class. It is still in good shape. I use it nearly every day.